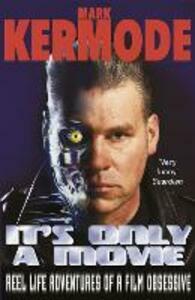 In It's Only a Movie, the incomparable Mark Kermode takes us into the weird world of a life lived in widescreen. Join him as he gets lost in Russia on the trail of a low-budget horror flick, gasp as he's shot at in Hollywood while interviewing Bavarian director Werner Herzog, cheer as he gets thrown out of the Cannes film festival for heckling in very bad French, and cringe as he's handbagged by Helen Mirren at London's glitzy BAFTA Awards. Written with sardonic wit and wry good humour, this compelling cinematic memoir is genuinely 'inspired by real events'.